Name : OMFG!! AWESOME FACE! 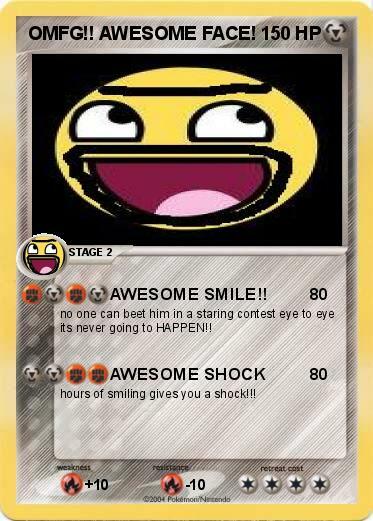 Attack 1 : AWESOME SMILE!! no one can beet him in a staring contest eye to eye its never going to HAPPEN!! hours of smiling gives you a shock!! !